Until I get a little bit more into business stuff again I’ve decided to add another weekly theme. Serve It Sundays will feature a recipe that is tried and true. The first one is super decadent and looks incredible, so it’ll really wow everyone if you have company over. I’ve had a really awesome friend since childhood named Leah and the friendship has gotten even better in our thirties. The neat thing is that we have massively different talents and abilities. One of her abilities and interests is cooking/baking. This gal can whip up a buffet for twenty people without batting an eye while sometimes Larry is lucky if he doesn’t have to heat his food himself. 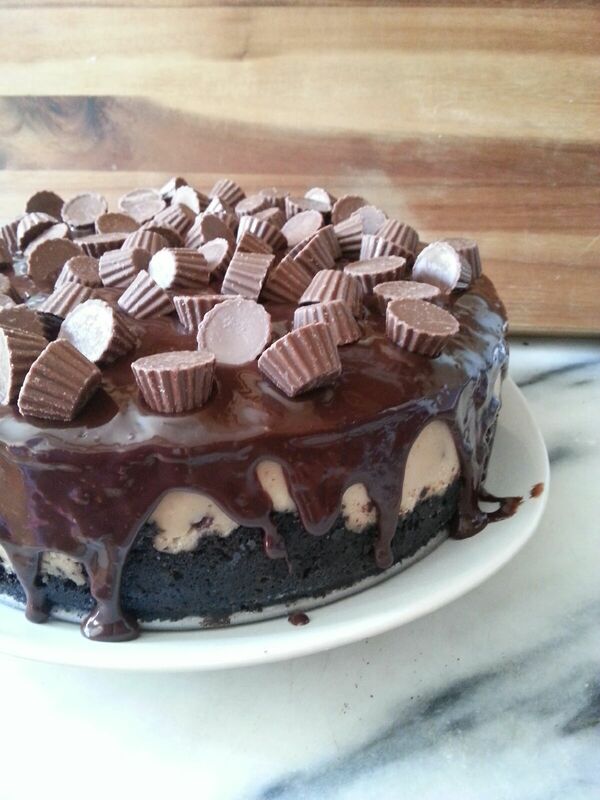 lol I always love seeing pictures of her latest successes and when she showed me the Reese’s Peanut Butter Cheesecake I was in total awe. What better way to start off this theme than showing you a total show stopper! Now is the time to make you drool. 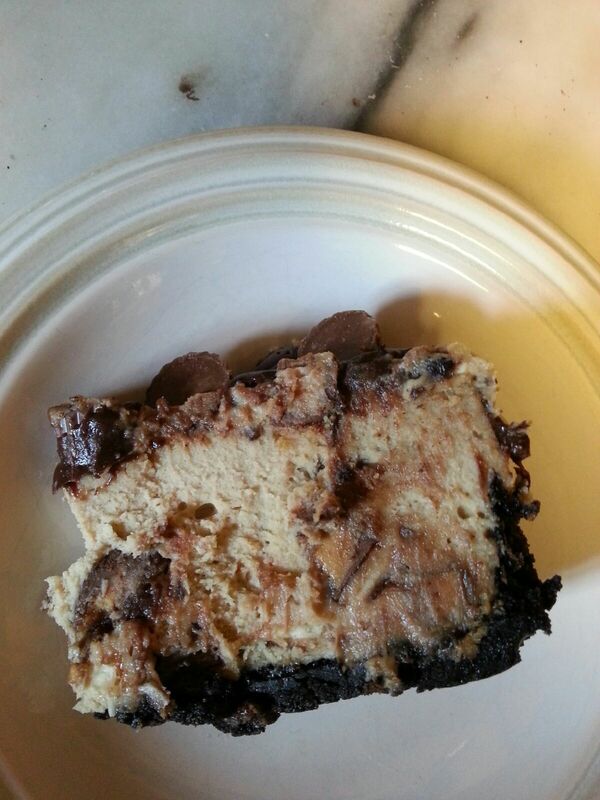 These are the pictures of Leah’s amazing cheesecake, so these are what you can do at home. No photoshop, no fancy lighting, just amazing yumminess. Make sure to keep looking after the pics, because I’ll have notes that Leah provided about the process and possible changes to try. 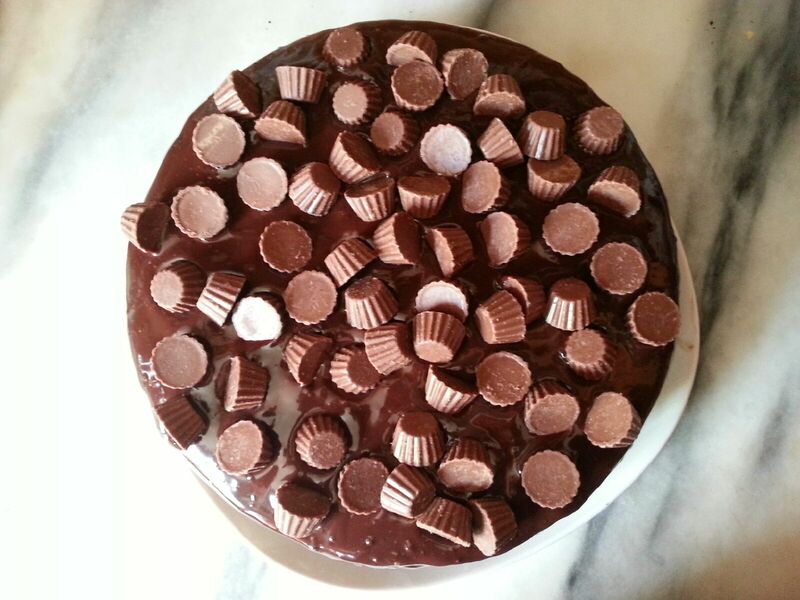 If you love Reese’s cups you will love the bird’s eye shot, too! As soon as I saw the first picture I told her I wanted to feature it on my blog someday and thankfully she agreed. *smile* I’m still in awe that you don’t have to be a professional to make such a stunning cake! She had a few notes to keep in mind from her experience. First, she made it as directed in the recipe and although her whole family loved it, she is planning on making a few changes. 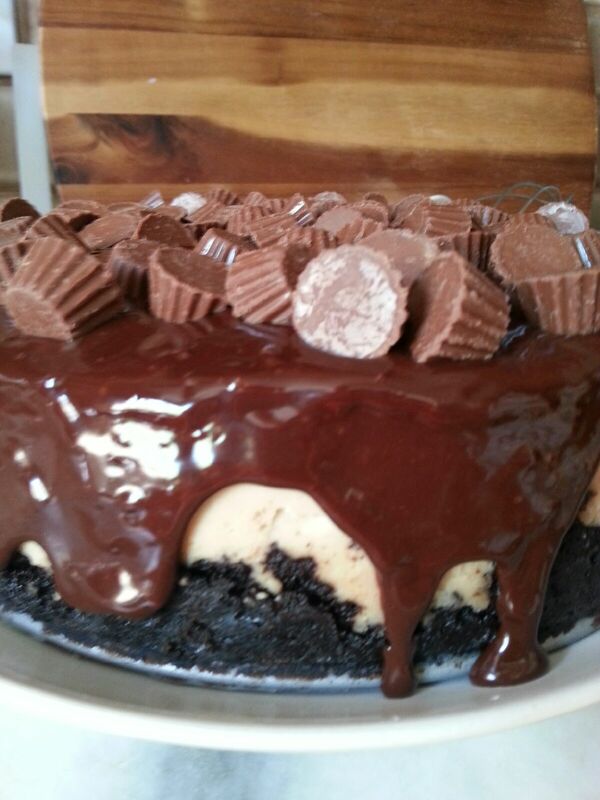 She will omit the Reese’s Minis from the top, because although they look cute, they made it difficult to cut and didn’t add anything to the flavor of the cheesecake as a whole. In addition, she will try cutting 8 ounces of the cream cheese out, explained here: “It’s a very, very tall cheesecake and I think cutting out some of the cream cheese would help a little without altering the flavor too much”. This gives you a little extra info to keep in mind when you try making this yourself. If you try this I’d love to hear from you! 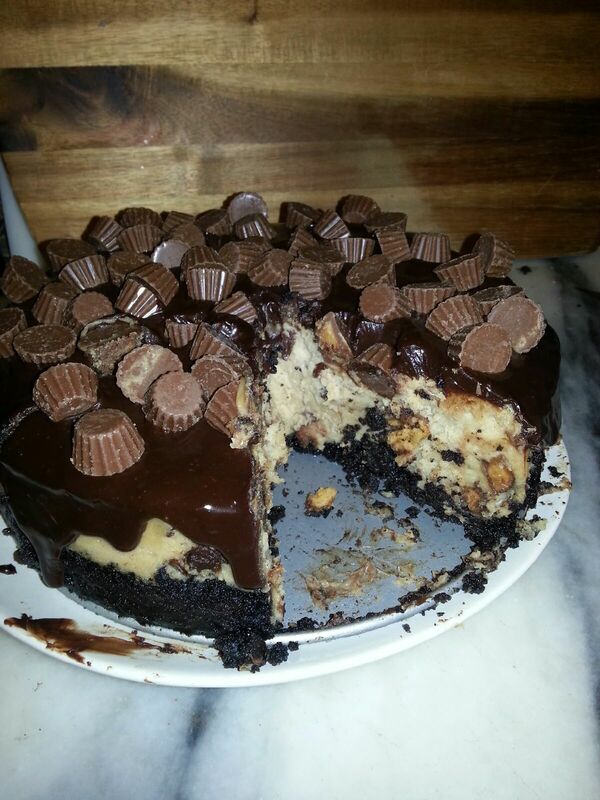 Posted in Recipes and tagged Cheesecake, Dessert, Peanut butter, Recipe, Reese's, Tried and true. Bookmark the permalink. Just rub it in *teasing grin* It looks amazing, so it’s hard to imagine it tasting even better!